This drink’s name is a tribute to the 1922 silent movie Blood and Sand, which stars Rudolph Valentino as a poor young Spaniard who eventually becomes a great matador. Fill a cocktail shaker with ice. Add all of the remaining ingredients except the ginger beer and cherry and shake well. Strain into an ice-filled collins glass. 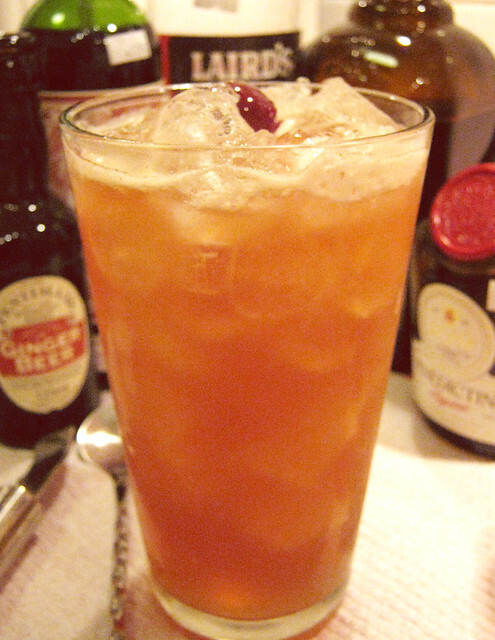 Stir in the ginger beer and garnish with the brandied cherry.